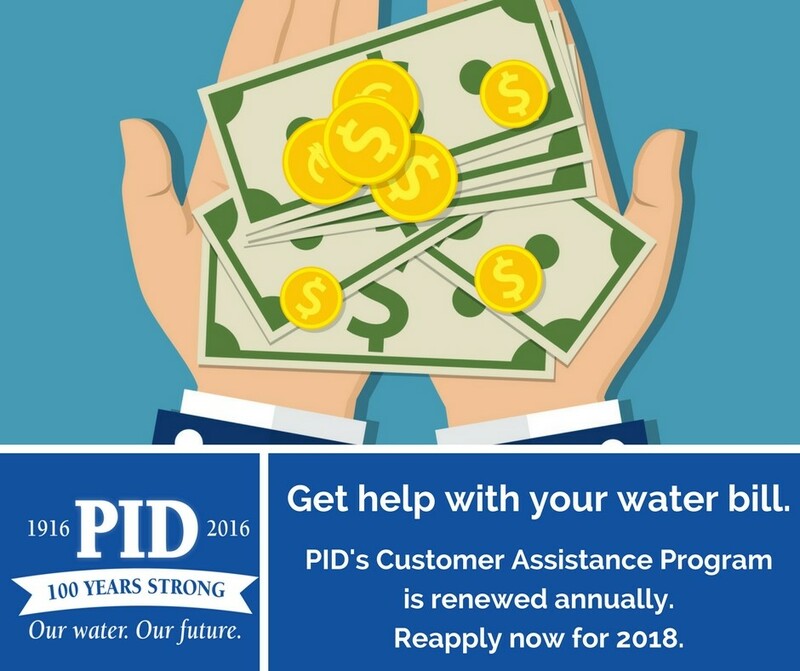 If you qualified for the Customer assistance water bill discount in 2017 and wish to continue receiving that discount you must reapply. Funds are still available and applicants who currently qualify for PG&E's CARE discount are encouraged to apply for the 2018 year. Applications are available online and in the office. Remember to include proof of your PG&E CARE discount when returning your application. Completed applications (which must include required qualification paperwork) will be accepted on a first-come, first-served basis. District's current policy allows for a one-time billing adjustment when a leak is promptly repaired. Review the pdf leak appeal form & policy (680 KB) to see if you qualify for an adjustment.